Cyber Monday is here! What better way to kick off your holiday shopping than by getting something for yourself and your team? Don't miss the chance to get VIPM Pro, the package manager for LabVIEW, at an incredible price. 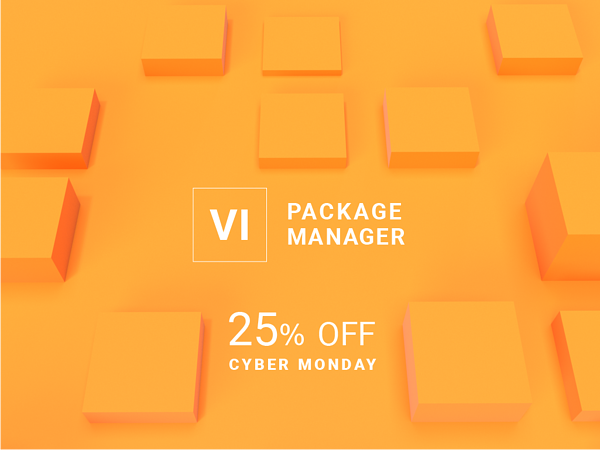 Through the week, we're taking 25% off all VIPM license purchases and renewals (via credit card on our website). Buy VIPM from our website and enter the discount code CYBERMONDAY2018 at checkout, or click this link to add VIPM Pro to your cart and apply the discount automatically. Have you been thinking of purchasing VIPM Pro for yourself or your colleagues? There’s no time like the present. To learn how VIPM helps you discover LabVIEW add-ons and share reusable code libraries with your team, visit our website.